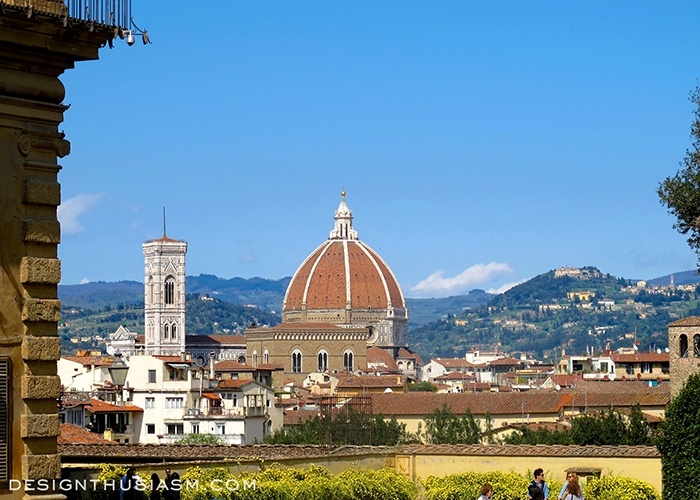 It’s taken me quite some time to approach this post about the magnificent city of Florence. It’s not that I had nothing to say. Quite the contrary, I didn’t know where to start, how to edit the array of photos I’d taken and where to leave off. 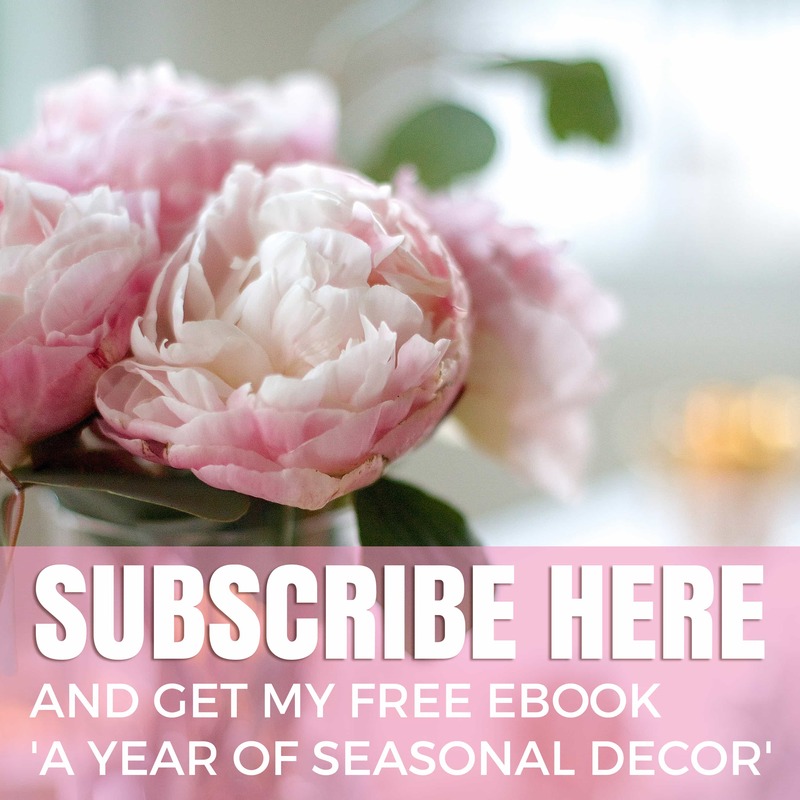 Finally, I decided to touch upon the truly sublime and leave the delightful daily pleasures for another time. 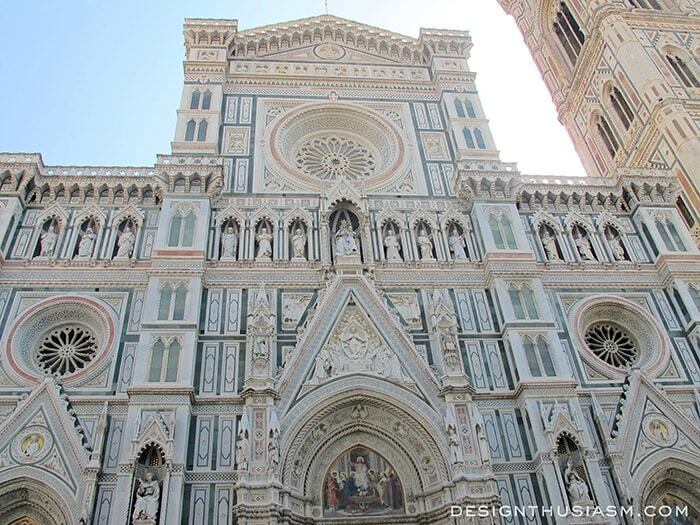 I easily could have done an entire post on the enchanting Il Duomo, Cathedral di Santa Maria del Fiore and sure enough the magical gothic structure figures prominently in this post. I’ve been to Florence several times, but each time I stand anew before this magnificent marble work, I find it utterly takes my breath away. 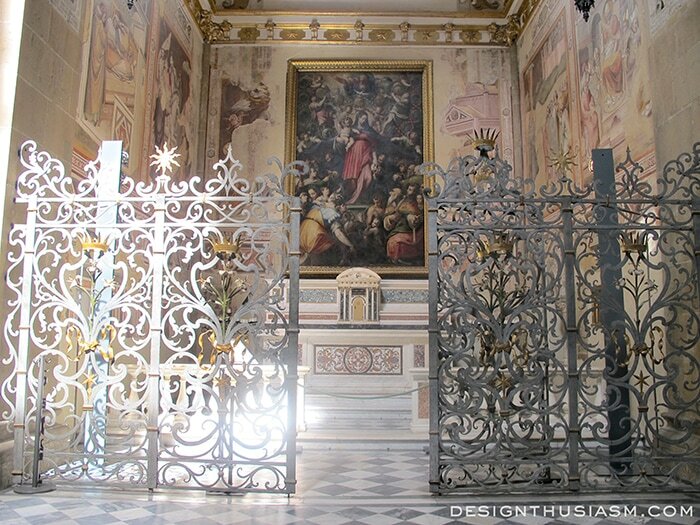 Directly across from the basilica’s facade stands the Baptistry with its awe inspiring “Gates of Paradise” bronze doors by Lorenzo Ghiberti. These are actually a copy of the original doors which are being restored and protected nearby in the Museo dell’Opera del Duomo. 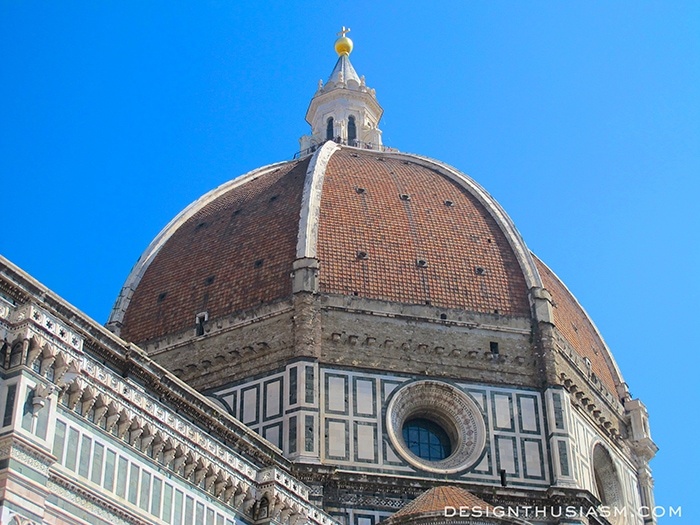 One of the most emblematic images of Florence is the cupola of Il Duomo di Firenze, or as it is simply known, Brunelleschi’s dome. 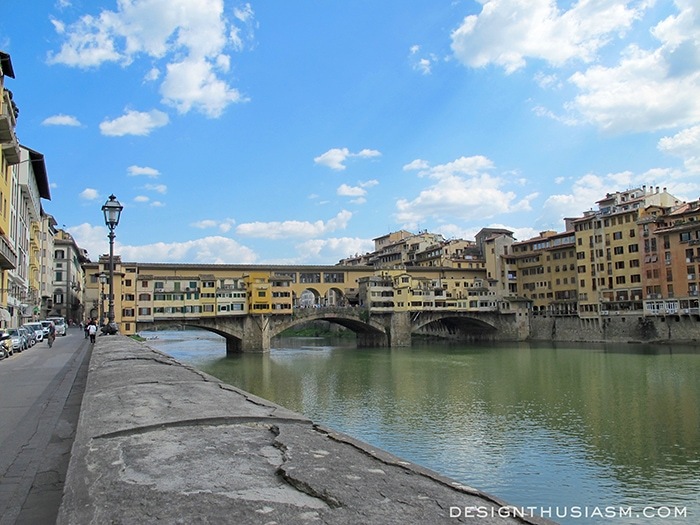 The sherbet colors of the city extend to the buildings that line the Arno, leading to the Ponte Vecchio. 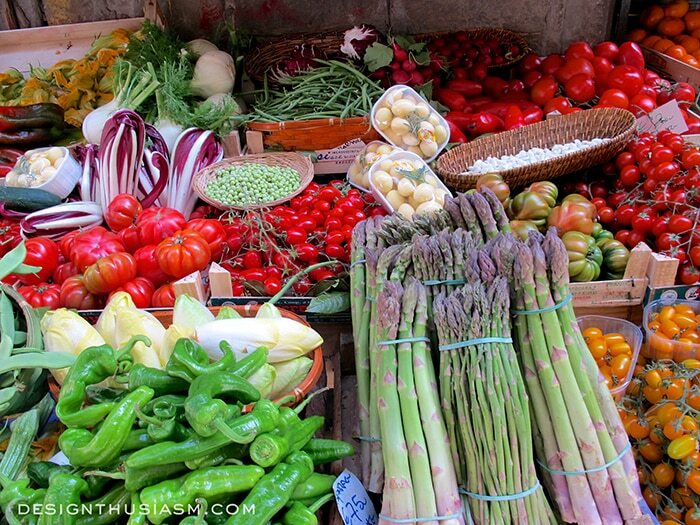 Not to be outdone by the vibrant architecture, the local produce markets display a cacophony of colors. The art in Florence is everywhere and nowhere better than in the Galleria dell’Accademia, where one can see Michelangelo’s David. No matter how many times you see copies of this work, to stand before the original is an unforgettable experience. Here’s a glimpse of the mosaic ceiling that crowns the inside of the Baptistry. Each structure is more magnificent than the next with paintings, stonework, architecture and metalwork showcased generously. 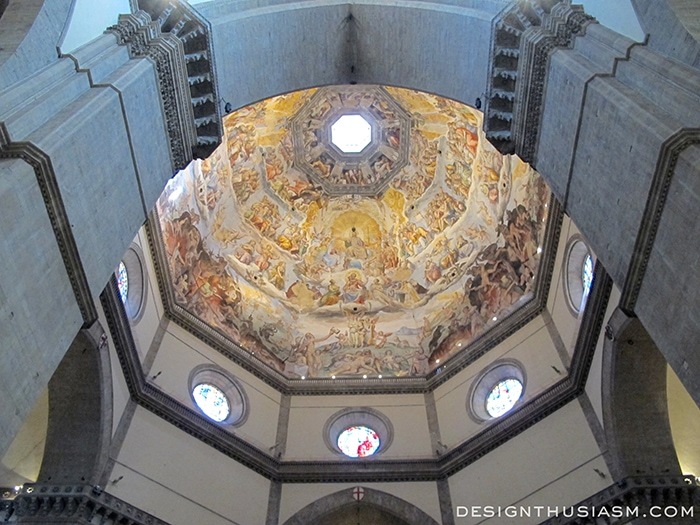 This is an interior view of the Basilica di Santa Maria Novella. 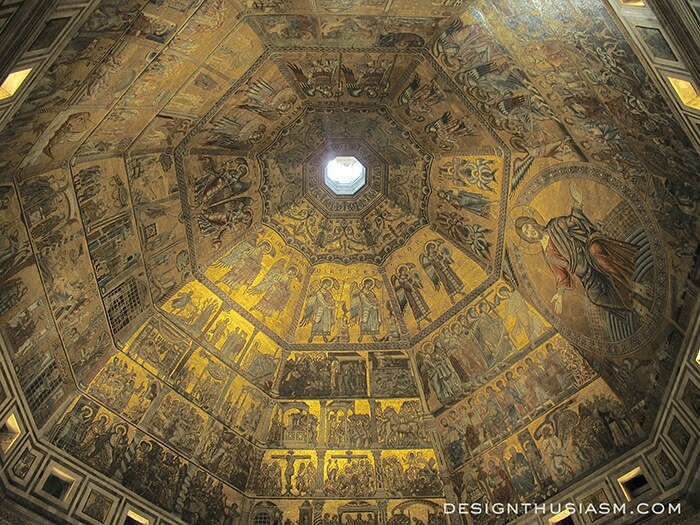 In the interior of the Cathedral di Santa Maria del Fiore, one is treated to Vasari’s fresco inside Brunelleschi’s Cupola. 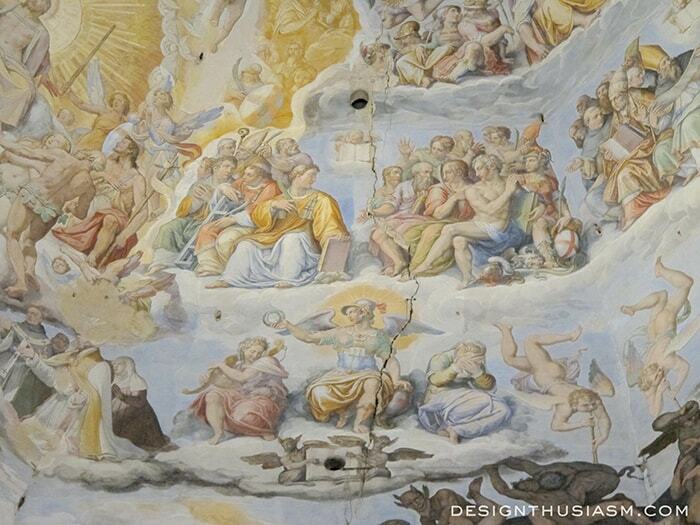 A close-up of Vasari’s fresco reveals the brilliance of his work. 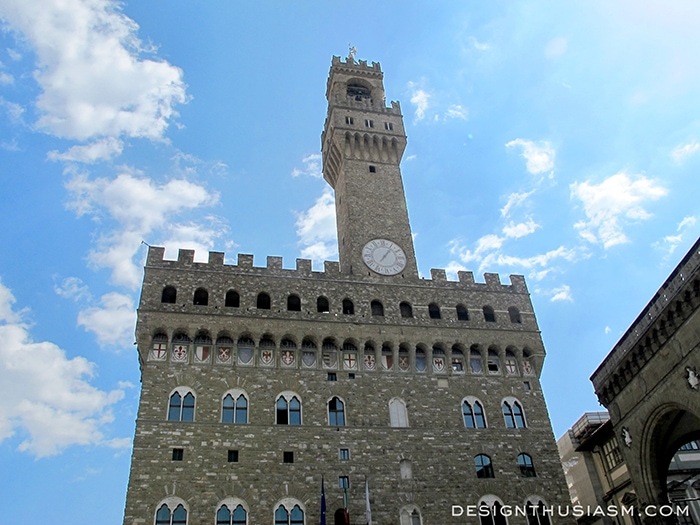 Not far from the Duomo is the Palazzo Vecchio, a former residence and offices of the Medici family. 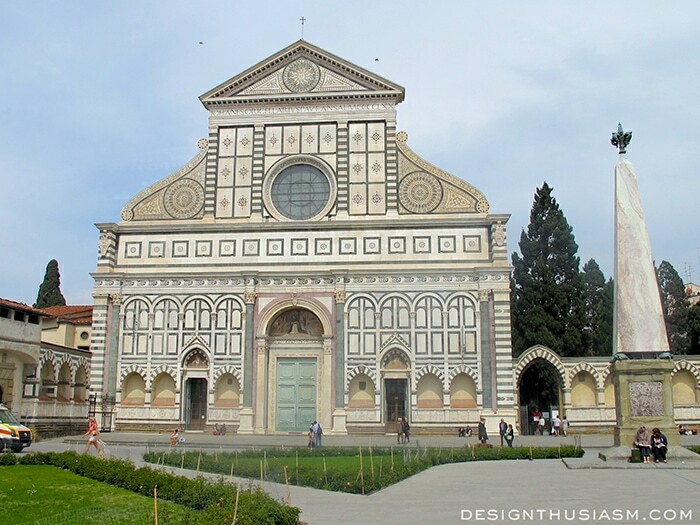 A little further afield is the facade of the Basilica di Santa Maria Novella, a simpler reflection of Il Duomo’s marble face. Our hotel was situated on this delightful piazza. 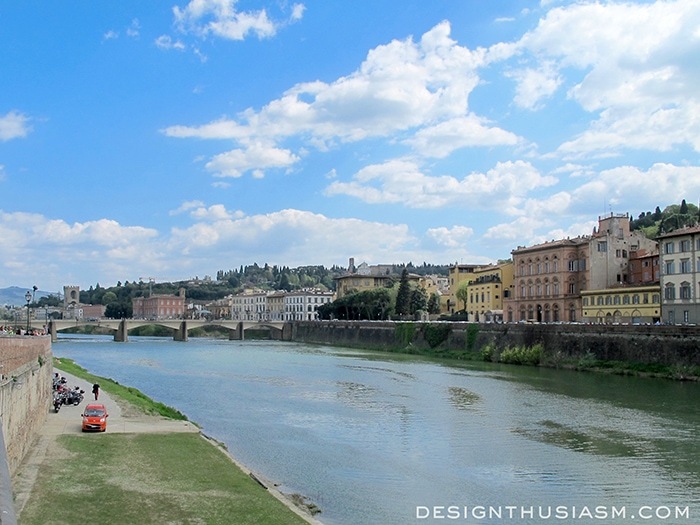 A gorgeous spring day along the banks of the Arno unleashes a veritable crayon box full of pastels. 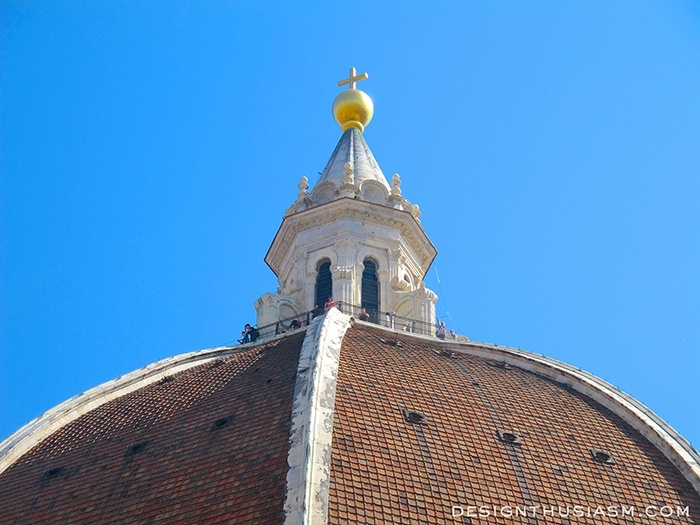 A conservative estimate says I took over 100 pictures of the Duomo, circling about it from every angle. Just a few more glimpses will finish out this post, but it was nearly impossible to narrow down to so few. Wow. You’ve really done justice to this amazing city! 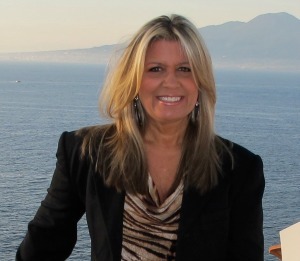 Five years ago my husband and I went to Italy with the intention of seeing Rome, Florence and Venice. When we got to Rome, we decided that there was just too much to see to go anywhere else! Next week, we’re going back to see Venice, and I hope we won’t wait another 5 years to see Florence. It seems that the entire Italian peninsula is one gigantic museum! 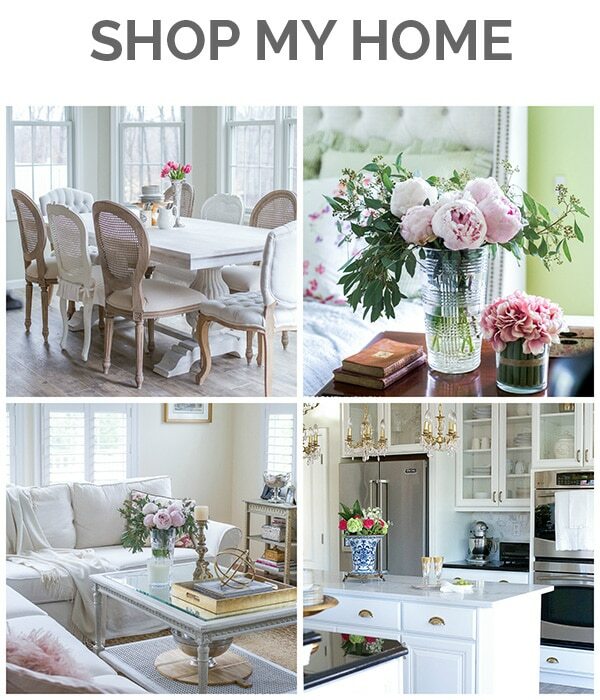 Thank you for sharing your wonderful photos! A beautiful post indeed. 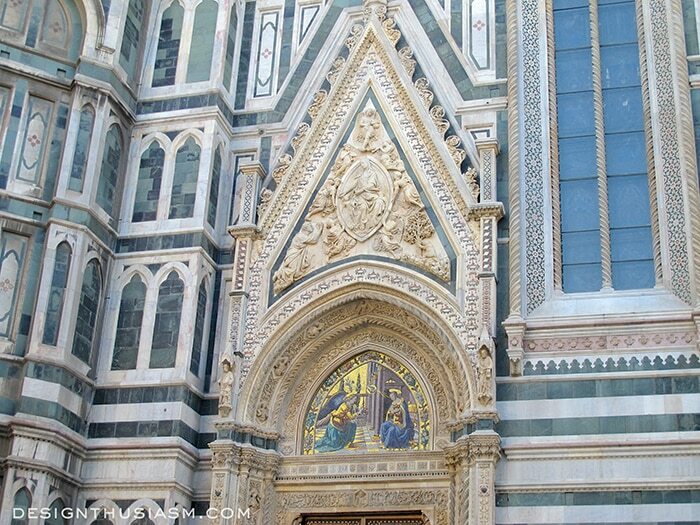 Only a hundred pictures of il Duomo? 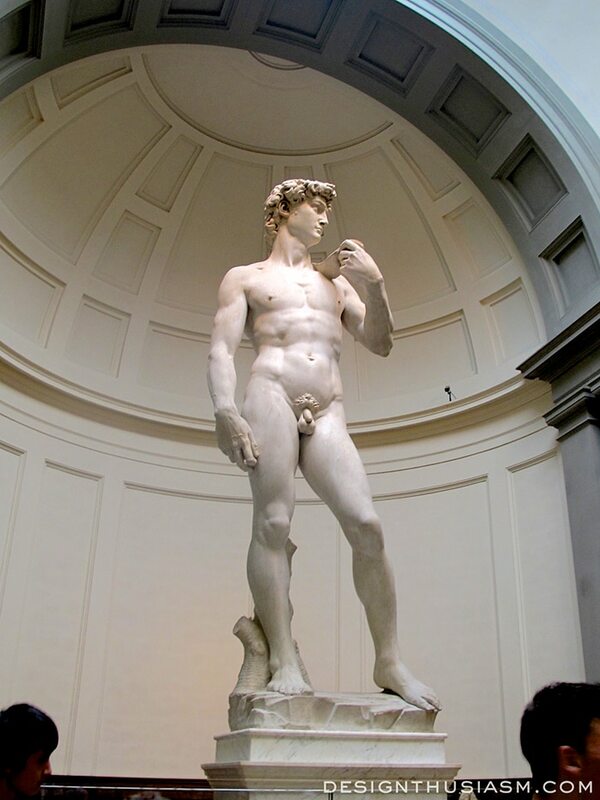 I always marvel at the weight distribution of David and the perfection of the marble block Michelangelo chose. 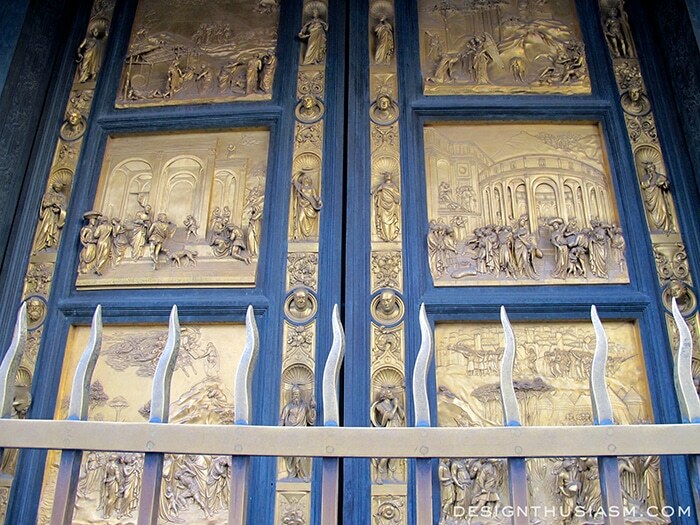 When we were there, Ghiberti’s doors still graced the Baptistry. I would happily look at each and every one of the pictures you took. My travelling days are over and I would dearly appreciate seeing lots more through your eyes. 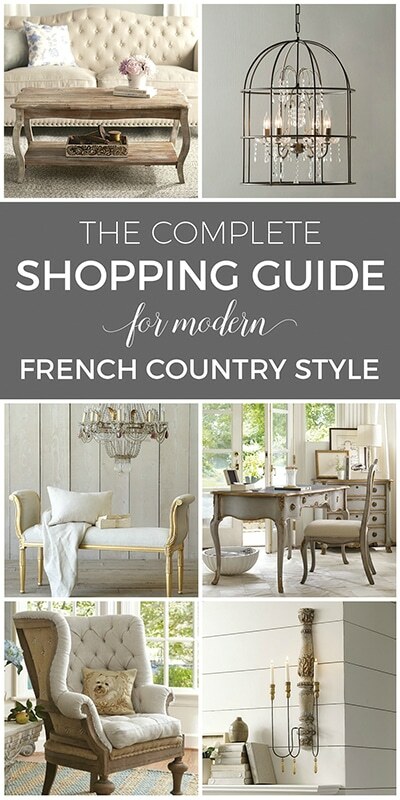 It is very hard to choose a favourite here. 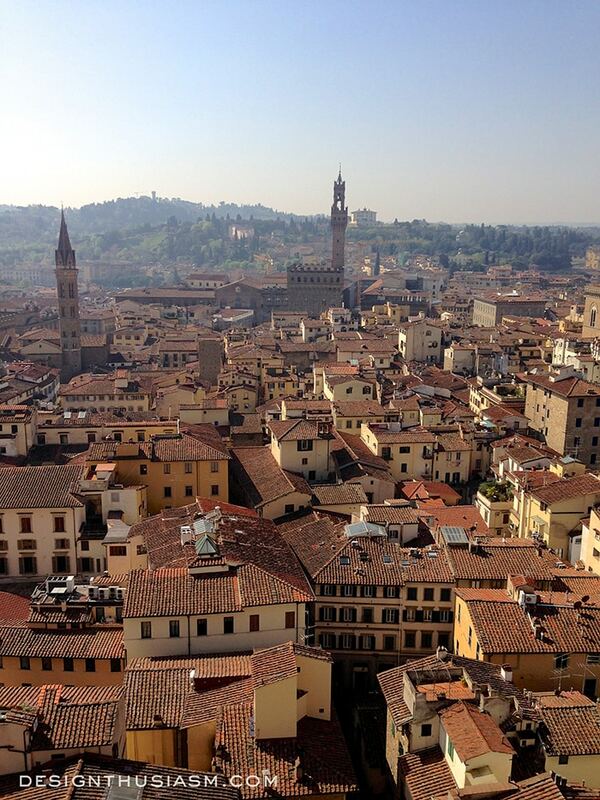 I love Florence and I love your photography – both interiors and landscapes from above. magnificent buildings and artwork. thanks for sharing. Thanks! 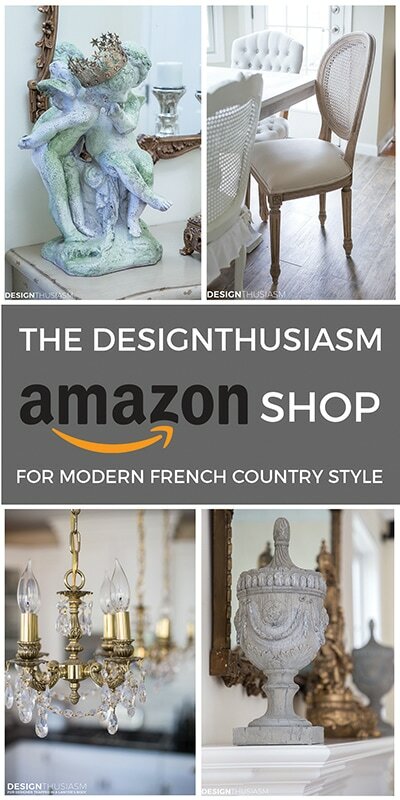 My pleasure… 🙂 Thanks for visiting! One of the most beautiful cathedrals I have ever seen! Hope I am fortunate enough to revisit. 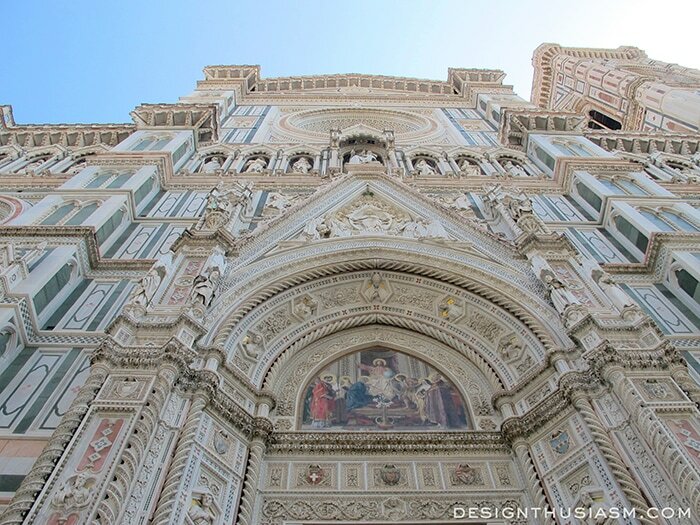 Beautiful shots of Florence. Just got back from Venice – so this has to be next on my to-visit list.